Sandra Chapman was born in Winnipeg, Manitoba and has lived in various regions of Canada. 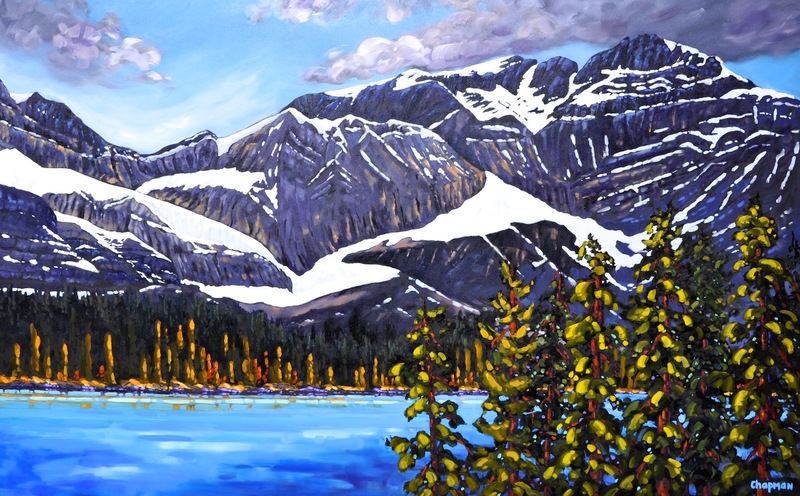 Having resided in British Columbia since 1991, initially on the West Coast and now making her home in the beautiful Okanagan Valley, Sandra is continually inspired by the diversity and beauty of the Canadian landscape. She began to explore her love of painting in 2001 through workshops and as a student in the Faculty of Fine Arts at Okanagan University College (now UBC Okanagan), although she is primarily self-taught. These paintings reflect her interpretation of the relationships Sandra sees in nature. 'When I look at trees, I see not only the trees, but the spaces between them and the way they relate to each other and other aspects of the landscape. To me, nature mirrors and reflects universally experienced emotions such as joy, passion, solitude, connection and disconnection. I attempt to capture the essence of these relationships in my paintings." 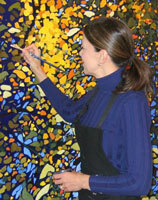 Sandra loves to paint on a larger scale, using bold color and dramatic composition.